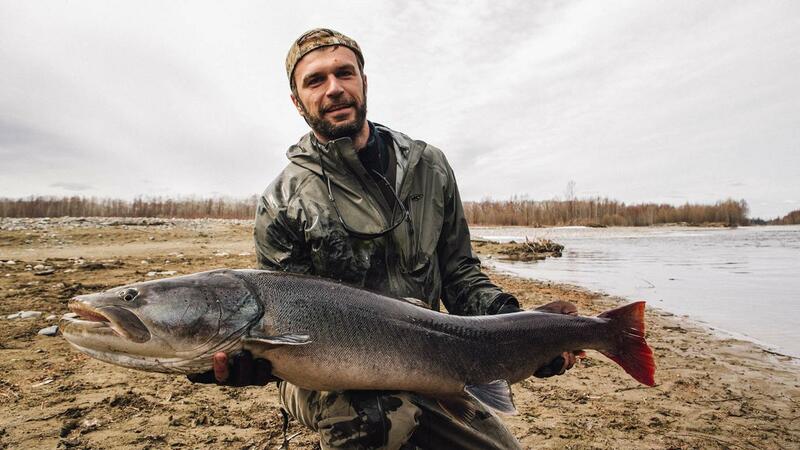 Do you want to catch the Tsar of the rivers - Taimena? Then you really should try your luck, rafting along the river Nimelen. A wayward river with its character. Huge taymeni not just come here, they live here. DELIVERY TO FISHING PLACE Meeting at the airport of Khabarovsk with bread and salt. We stop in the store to buy alcohol, all kinds of buns and go. Next, we leave for the village of Briakan - the nearest to Nimelen aerodrome helicopters. The journey time is approximately 14 hours. Transport - a comfortable car of tourist class ToyotaHiace and Toyota LandCruiser From Briakan by helicopter the group takes off to the point of basing on the river Nimelen. The group flies back to Briakan by helicopter, and drives to Khabarovsk by car. ACCOMMODATION Terms of the expedition, full autonomy. . Accommodation is possible both in the camping, which allows you to camp in the most promising place, and in a more comfortable winter cabin with a stove and a Russian bath. Food for the tour is bought in advance, before departure. Cooking fraternally, and guides and yourself. The composition of the menu, its features and your wishes should be agreed in advance. FISHING It is possible to fish, as during the movement of floating means, and during stops, from shallows or moored boats. Depending on the level of water in the river, you should look for fish in different places, which will prompt experienced guides. Caught fish in the absence of serious injuries, released back. In food, at the discretion of the senior guide, seriously damaged specimens of fish can be used. Movement on the river is carried out on inflatable PVC boats. At the rate of 2-3 anglers per 1 boat. This calculation allows you to move comfortably along the river and fish from the boat. FISHING CALENDAR The best time for fishing on this river is a short period in early May, when the river breaks ice. At this time, and the fish begins to ascend to spawn and you can get to a very good fishing. As a rule, it is this time that we try to catch on the river and recommend our clients as the most likely to catch this trophy It is spawning river, where the shoals of chum salmon and pink salmon come in, which is a good fodder base for lenok and taimen.